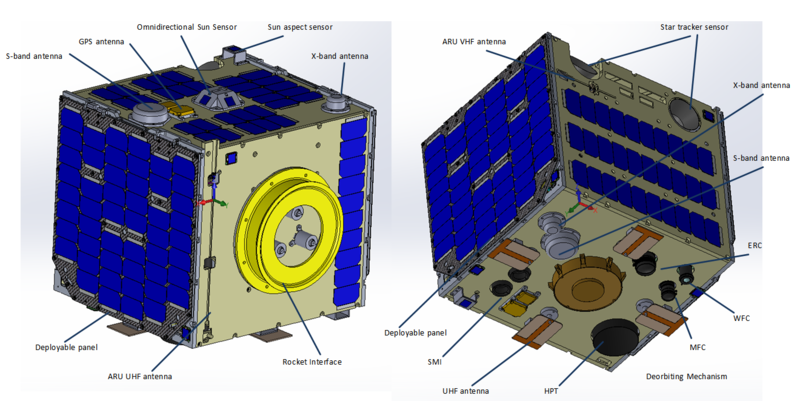 The Philippine Diwata-2 satellite carrying an amateur radio FM transponder and APRS digipeater is expected to launch in October. The 50-kilogram satellite shall soon be sent into orbit by the Department of Science and Technology (DOST) through its partner, Japan Aerospace Exploration Agency (Jaxa). It should be recalled that the DOST had the Philippines’s first microsatellite—the maiden Diwata-1 that was designed, developed and assembled in Japan by nine pioneering Filipino engineers and scientists along with their “sensei” (instructors) from the Tohoku University (TU) and Hokkaido University (HU). Diwata-1 was launched into the International Space Station onboard the Orbital ATK’s Cygnus spacecraft on March 23, 2016. It was deployed from the ISS into her orbit on April 27 by the Japanese Experimental Module (JEM)—”Kibo” or Hope—around 400 km above Earth’s surface. Now, two years and four months later, the government is about to unveil the second iteration of Diwata-1—named Diwata-2 targeted for launching onboard Jaxa’s H-IIA rocket from Tanegashima Island in Japan. Masa JN1GKZ reports JAXA has announced three BIRDS-2 CubeSats with APRS digipeaters will deploy from the International Space Station at about 0945 GMT on August 10, 2018. BHUTAN-1, MAYA-1 and UiTMSat-1 will transmit 30 minutes after deployment. Initial mode looks CW on 70cm. They use same frequency 437.375 MHz and transmit in the order of BHUTAN-1, MAYA-1 and UiTMSat-1. Each CubeSat also has an APRS digipeater on 145.825 MHz. The live broadcast will open on 0915-1010z August 10. Deployment will be done around 0945z. Initial operation plan is announced as following. So, CW beacon will start 1017z. The location is over Central Asia. 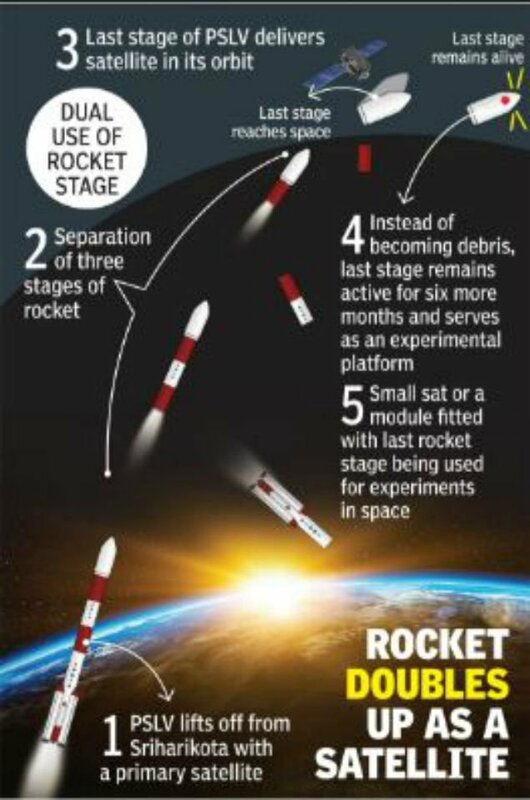 Satellites go towards the east and pass through China, Japan, Pacific Ocean, South America, Africa and Europe. Check the orbit with ISS keps. ARISS has received several reports stating that the packet radio system on ISS is down. Here is what we know and our current forward plan. The packet system in the Columbus module started to act up late last week, sending only a beacon. The ARISS team requested a power recycle by the crew, and with that power recycle, the packet system appears to have stop functioning completely. Note that this unit has been on-orbit for 17 years. It was launched on the STS-106 Space Shuttle Atlantis mission in September 2000 and was built, tested and certified for flight about 20 years ago. The ARISS team has had some extensive discussions on the way forward. We would first like to do some additional troubleshooting with the existing packet module. It will take some time (weeks) to develop troubleshooting procedures, get the procedures approved by NASA and then conduct the tests with the crew. This includes an additional power cycle. The turnaround time is much longer than usual because a new crew will soon be arriving on ISS. The current crew is focused on the new crew arrival and there will be about a one- to two-week transition after the new crew arrives. On the positive side, one aspect of our troubleshooting-a second power cycle-will occur automatically because ARISS is shut down during crew docking and turned on afterwards. However, there will be more to our troubleshooting than just the power cycle. We have some additional plans with alternative solutions, but those are currently being discussed and prioritized within the ARISS team. All solutions will require international ARISS team coordination, additional procedures and crew interaction. 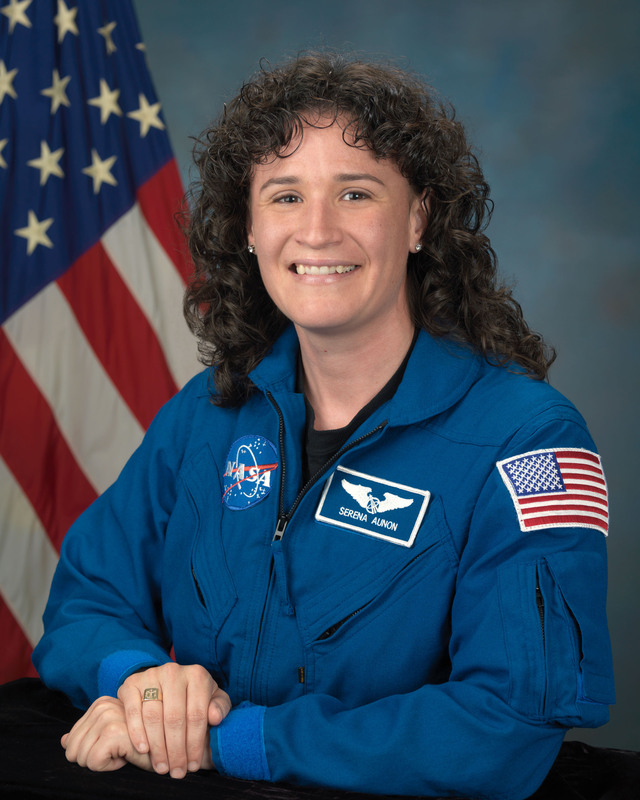 People who have carefully followed ISS operations know that crew time continues to evolve with the more extensive research that is occurring on-board. Suffice it to say, it will take longer than what it has taken in the past to work through this issue. The above information is to make sure that ARISS properly sets expectations on how long it will take to resolve this. At this point, expect a few months with no ARISS packet. On behalf of ARISS, we thank you for your sustained interest and support of our program. 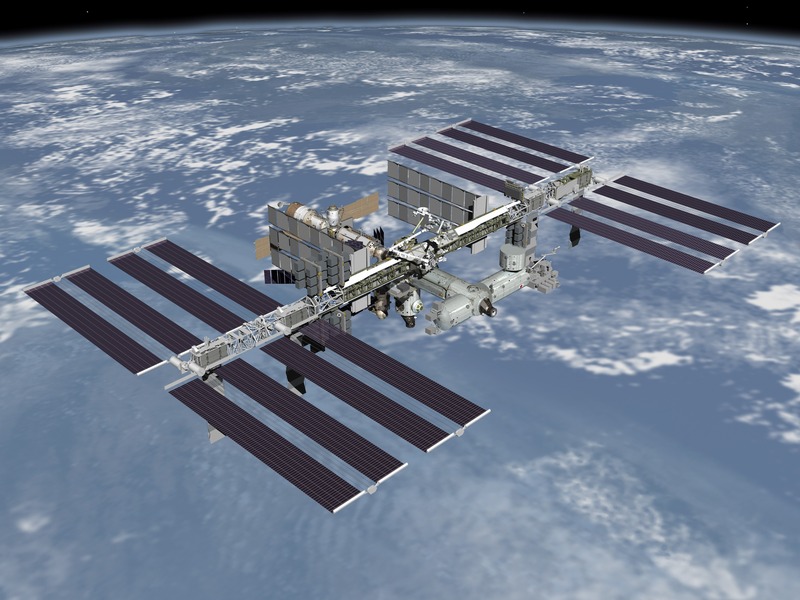 Amateur Radio on the International Space Station (ARISS) is a cooperative venture of international amateur radio societies and the space agencies that support the International Space Station (ISS). In the United States, sponsors are the Radio Amateur Satellite Corporation (AMSAT), the American Radio Relay League (ARRL), the Center for the Advancement of Science in Space (CASIS) and the National Aeronautics and Space Administration (NASA). The primary goal of ARISS is to promote exploration of science, technology, engineering, and mathematics (STEM) topics by organizing scheduled contacts via amateur radio between crew members aboard the ISS and students in classrooms or informal education venues. With the help of experienced amateur radio volunteers, ISS crews speak directly with large audiences in a variety of public forums. Before and during these radio contacts, students, teachers, parents, and communities learn about space, space technologies and amateur radio. The US Naval Academy team say their amateur radio QIKCOM-1 APRS Digipeater payload may be deployed from the International Space Station on August 21. The Ham Radio QIKCOM-1 module attached to the NovaWurks NanoRacks SIMPL spacecraft is now finally scheduled for release from the ISS on 21 August 2017! This is being released on the same day as the solar Eclipse when the ISS will also be passing over the USA during the eclipse 2 hour window around 1800z. We are not clear on any correlation with the Eclipse and our release, but there will be lots of hams in the field and it is a good day to tune in!